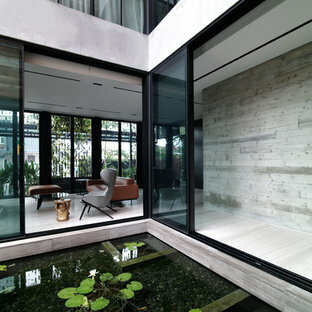 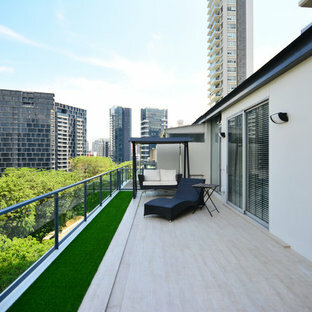 In a city with minimal land space, outdoor areas are a breath of fresh air, especially in the home. 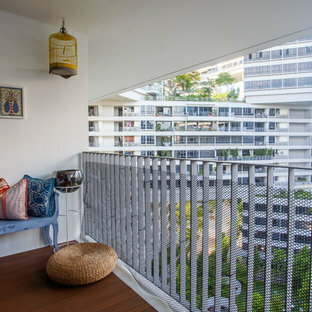 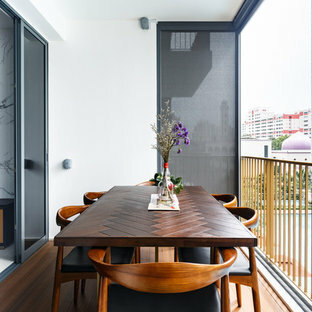 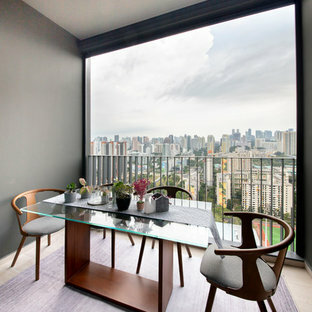 If you’re lucky enough to have a garden, patio, porch or balcony, maximise the space with weather-proof outdoor furniture that can withstand the hot and wet Singaporean climate, and provide sun protection with shades or a parasol. 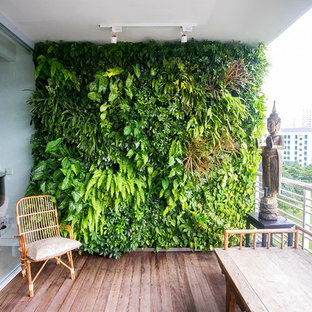 A vertical garden is a popular option when planning a balcony design, as it can cover boring walls and won’t take up precious floor space. 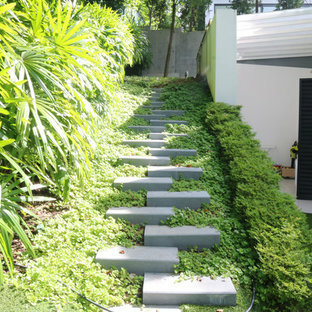 Lush greenery can also run over a retaining wall or dress up a pergola. 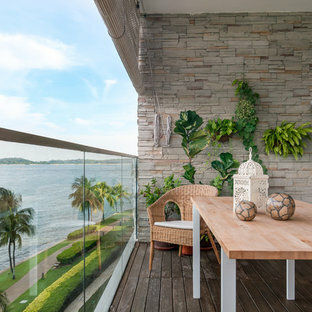 Before you start any landscaping or gardening, research materials and landscaping techniques that are appropriate for your location and style. 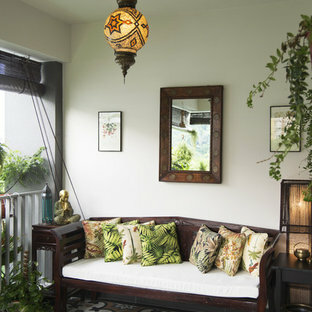 Plants, for example, should grow comfortably in the climate and soil conditions, and complement the existing landscape. 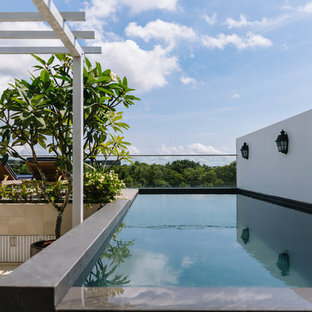 Also look at the various outdoor photos, as well as patio, porch, terrace, balcony, verandah and swimming pool ideas that are available on Houzz, to help you decide what you’d like in your garden or outdoor paradise.